This week we see the start of the much coveted “Middle-East swing” which is the part of the season where the European Tour heads to the desert and plays the Abu Dhabi Golf Championship, the Qatar Masters and the Dubai Desert Classic. This, at least for me anyway is one of the best periods of the European Tour season, and is certainly one of the best times of year financially on the calendar. As a result we normally see a strong field in these events and this week in particular is no different. There will be four of the World’s top-10 looking to take home the winning-share of $2.7 million, including World No.1, Jordan Spieth. Also playing this week are Rory McIlroy (World No.3), Rickie Fowler (World No.6) and Henrik Stenson (World No.5). Barring Spieth, each one of these players is familiar with the layout here at Abu Dhabi GC. Fowler returns after finishing a disappointing 66th here last year, but will be keen to improve, whilst McIlroy clearly loves the place. McIlroy finished 11th here on his debut in 2008, just five months after turning professional and he has never looked back. His missed cut here in 2013 is a lone blemish in an otherwise stupendous form card. Despite the fact he’s still looking for that elusive win here, form of 2-2-mc-2-2-3-5-11 here is nothing short of obscene and he is a worthy favourite at 9/2. Stenson loved the course back between 2006-2008 posting finishes of 2nd, 8th and 2nd again, however he has only made 3 of 7 cuts since, missing 3 of the last four and finishing inside the top-20 on only one occasion. With these four in the field, you are bound to get some great prices on players you would normally be backing at much shorter odds in regular European Tour events, however it depends whether you are confident of opposing those at the head of the betting. Greens in Regulation – In all but one year, the player who led the field in Greens in Regulation has finished in the top-5 here, 2014 Ryder Cup captain, Paul McGinley the player who bucked that trend. McGinley finished 9th here in 2008 after leading the field in Greens in Regulation. Course Experience – Obviously one player had to win it at first look, Chris DiMarco winning the inaugural staging of this event back in 2006, however since then every winner has seen the course at least once before winning here. Paul Casey who won in both 2007 and 2009, finished 45th in 2006, whilst Martin Kaymer missed the cut in 2007 before winning in 2008 before then going on a run of 2nd in 2009, win 2010, win 2011, MC 2012, 6th 2013, 21st 2014 and 3rd in 2015. Kaymer should also have won here last year, but a final round 75 put to swords his chances of making it 4 wins in 9 starts here in Abu Dhabi. The player to profit from Kaymer’s miserable collapse which was hard to watch at times, was first-time winner Gary Stal. Stal who was six shots back going into the final round, kept his cool and shot a cool 65 (-7) one stroke better than 2nd placed Rory McIlroy (the story of McIlroy’s career on this course!). Even Stal had played the course the year before, albeit missing the cut on his first appearance here. The other previous winners, Pablo Larrazabal (2014), Jamie Donaldson (2013) and Robert Rock (2012) all had at least four starts here before getting their win. To summarise I do believe that whether you play well or not a previous look at this course is not just beneficial but almost vital (although I am not about to write Jordan Spieth off) so that is something I will factor in to my selections. With all that in mind, here are my selections this week. Matthew Fitzpatrick 40/1 (BetVictor 1-5) 1.5pts e/w: The heir apparent to British Golf in my opinion, Fitzpatrick won his first event at the British Masters back in October of last year and he has not looked back since. In the five events after his win, Fitzpatrick finished T3, T26, T7, T13 and T4, the T7 being at the WGC HSBC Champions and the T4 being at the season-ending DP World Tour Championship in Dubai, two big events. In his last start of 2015, he finished T11 at the Thailand Golf Championship, after sitting 3rd thru 36 holes so he has managed to keep playing good golf ever since his win. Danny Willett and Fitzpatrick lost their opening four-ball match at the EurAsia Cup last week to Byeong-Hun An and Thongchai Jaidee, but he bounced back from that to win his foursomes with Lee Westwood 5 & 4 against Anirban Lahiri and Wu Ashun, and then won his Sunday Singles 2 up against Kiradech Aphibarnrat. A decent week for the youngster who would have been keen to make an impression on Darren Clarke as we are now officially in the Ryder Cup year. Fitzpatrick is well and truly in the mix on merit so far, ranking 3rd on the European Points list and 4th on the World Points list. He will be keen to keep proving himself on the biggest stages and being one of the bigger events on the European Tour this would be a great place to show just how good he is. Pitting himself against the likes of McIlroy, Spieth and Fowler in the same week will give him a great barometer of where he is at right now and I fully expect him to continue his emergence as one of the best young talents in the game. Last year was his debut at the course and he missed the cut, but this doesn’t worry me in the slightest. He is without a doubt a completely different player than he was 12 months ago, improving and maturing considerably and as aforementioned, you don’t necessarily have to of had a previous good finish here, but seeing the course before is a huge plus. He will be looking to follow in the footsteps of last year’s winner Gary Stal who won on his second start here at Abu Dhabi GC, after missing the cut on his debut. Stal hasn’t progressed greatly since his win, whereas Fitzpatrick looks better and better all the time and I confident he can get the job done this week. 40/1 has not been readily available on Fitzpatrick in recent months and until he shows any reason otherwise I am happy to back him at such odds. George Coetzee 66/1 (SkyBet & SportingBet 1-6) 1pt e/w: Before breaking his ankle in September of last year, Coetzee was having a fine season, getting his second and third European Tour wins, winning the Tshwane Open in March, which he followed up with a T3 finish at the Trophee Hassan in Morocco a week later, before winning the inaugural Mauritius Open in a play-off against Thorbjorn Olesen in May. Coetzee struggled for a while after that win making just 2 of 6 cuts up until the US PGA Championship, where he performed admirably. He opened with a 74 on Thursday, before firing back with a 65 on Friday which shot him into contention. He only needed 21 putts in that round, and when he’s putting well he’s dangerous. Coetzee missed the cut at the SA Open, his first competitive event since returning from injury, but a very promising 13th place finish at the Joburg Open means I have definite interest in him this week. He does need to improve dramatically this week to win, as he struggled to hit fairways last week, but maybe more pressing is the amount of greens he hits. He’s never been one to drive it that straight anyway, but if he can hit some more greens in regulation this week, he can make use of a hopefully hot putter and capitalise on some good course form he’s got here. In four appearances, Coetzee has finished 37-4-9-6, meaning he has three top-10’s in four starts here, a remarkable strike rate. He missed his last two cuts before finishing 37th here last year, the same form he carried in with him when he finished 4th in 2014. When he finished 9th in 2013 he was coming off a 10th place finish at the Alfred Dunhill Championship 5 weeks prior and when he finished 6th in 2012 he had finished 14th, 29th and 22nd in the three events prior. To me this mix bag of form leading into this event suggests Coetzee can turn up here and play in any real form and still post a decent finish, so I am hoping he can do the same coming off the back of his 13th place finish last week and his return from injury. He has fine form generally in the Desert Swing posting finishes of 12th, 5th and 2nd in his last three starts at the Qatar Masters, whilst also having a T5 finish at the Dubai Desert Classic in 2012 under his belt. Backing someone that’s only played two events since returning from 8-12 weeks out with an injury carries its risks but at 66/1 I am willing to take a chance on a South African who in the midst of the hype surrounding his compatriots; Branden Grace, Brandon Stone and Haydn Porteous in recent weeks is currently coming in reasonably under the radar. Joost Luiten 70/1 (Betfred 1-5) 1pt e/w: Joost Luiten who had two very good seasons in both 2013 and 2014 will be disappointed with his efforts in 2015, as I am sure he would have expected, like many of us did, to add to his tally of 4 wins on the European Tour last year. 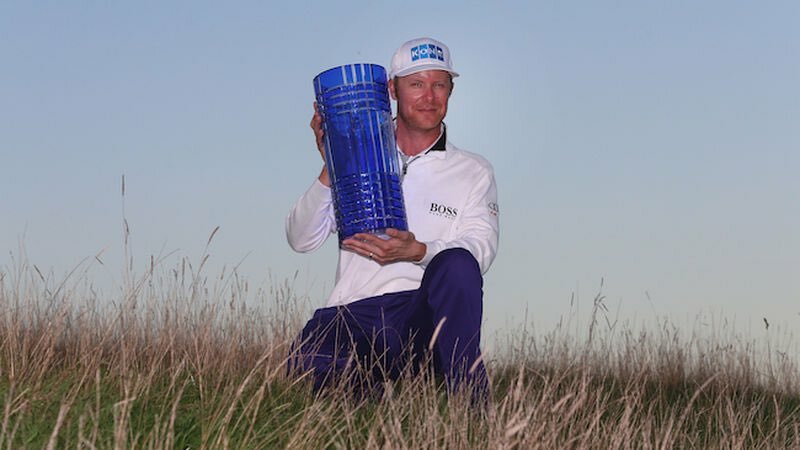 Pundits, fellow pros and fans alike have tipped the Dutchman for big things and rightly so as he is a very good golfer who has bags of ability and hopefully this year he can show that once again by getting back in the winner’s circle, preferably this week! Even in a disappointing season he still only missed two cuts, but one top-10 (4th at Scottish Open) is not what he would have expected heading into 2015 and he will hoping 2016 is a little different. To be fair he has started this season (which started in November 2015) strongly, posting a T5 finish at the Alfred Dunhill Championship in South Africa, already matching his total of one top-10 from the season before! He broke par all four rounds, and was tied second with three others through 36 holes, five behind eventual winner, Charl Schwartzel, however two rounds of 71 over the weekend were not good enough to see him contend. He eventually finished 7 shots off the pace, but I am viewing that week as a positive as he put himself near the top of the leaderboard at the first time of asking in this young season. Now of course that was a while ago now, and a more recent indicator would be his T24 finish at the Thailand Golf Championship on the Asian Tour six weeks ago. Although he never really got going in this event he hit a decent amount of greens in regulation (55/72) which equates to 76.38%, including 18/18 on day one. What was also encouraging was the fact he do not three-putt once over the four days. On a course where you need to hit greens and convert with the putter when you get there, these are to encouraging signs. Course form and experience as aforementioned definitely come into play for me at this event, and Luiten boasts both. He has played here four times, between 2012-2014 and after finishing 23rd in 2011 and 42nd in 2012, the Dutchman managed back-to-back 6th place finishes here in 13′ and 14′. I try not to look too much into what players say or post on social media, but he tweeted two days ago saying “Great practice week here in dubai!! Finished the day with a late afternoon 9 holes”. He also tweeted earlier today about his first practice day so he’s coming into the week prepared. All signs are very positive for me, and at 70/1 I am happy to chance him making good run at the top of the leaderboard this week. He will be determined to get off to quick start in the calender year, and what better place to do it. Brandon Stone 125/1 (Coral 1-5) 0.5pt e/w: The 22-year old South African finally proved to us just what everyone has been excited about over the last couple of years, as he won his National title, the SA Open two weeks ago. Stone has been tipped by many over the last two years to be somewhat of a star particularly on the European stage. After winning twelve events as an amateur between 2010-2013, Stone made the decision to turn pro and it was at this point everyone got excited about South Africa’s next big star. He has played in European Tour events since 2011 and there was a lot of buzz about him even before turning pro, however he got his first win on his second start as a fully fledged European Tour member. The youngster played in three events at the start of the year in South Africa last year but only made one cut (finished T65) so it was back to the Challenge Tour. He started his Challenge Tour season off strongly finishing 2nd at the Kenya Open and posted a further five top-10’s after, including a T7 finished at the co-sanctioned Madeira Islands Open. He finally got his first Challenge Tour win last November, winning the Cape Town Open, which then gave him the confidence to kick on and make the step up now he had secured his European Tour card. In three events in this 2016 European Tour season he has finished T18, 1st and T28 and I am impressed with all three showings. He would have been in the spotlight playing on home soil and subseuently under immense pressure but to follow up his first top-20 of the year with a win was quite remarkable. He didn’t have it all his own way either, as he fought hard during an up and down final round to secure that victory. You could also of forgiven him for being a bit off his game last week, as I can only imagine there was a lot of celebrating done after taking home the SA Open trophy, so with another good week under his belt I am sure he is ready to compete here in Abu Dhabi. He made his debut at this event back in 2014, and finished a very respectable T19, the same position as both Danny Willett and Andy Sullivan, two stars of the 2015 season, and Stone will be keen to match their accomplishments in 2016. Stone had not played in the four weeks leading up to that 19th place finish here two years ago, and is complete opposite form this time around so I think that will serve him well. It is often hard to work out how players are going to react to getting their first win, whether they will kick on or rest on their laurels a bit/party a bit too hard, but I am confident it is going to be the former in this case, and I hope that rings true. Either way 125/1 about a player that has posted a Win, a top-20 and a 28th place finish in his first three starts of the year certainly looks good value to me and I am hopeful that he will push at least for a place in the top-5 this week. Four selections who’s chances I rate strongly. I have opposed the two at the top of the market, but I am very aware either player could run away with this event, I am just happy to take a chance on the players above at the respective odds. Honourable mentions: Thongchai Jaidee looked decent enough value at 66/1 but I preferred both Coetzee and Luiten at similar prices, whilst both Tyrell Hatton and Anthony Wall both appealed at 125/1. Wall played well last week but I have serious doubts if he can win in this company, whilst Hatton missing the cut in South Africa last week was enough to put me off.